When I was a kid, I read Heidi by Joanna Spyri and fell in love. 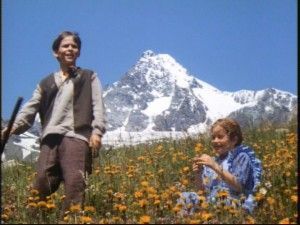 I remember wishing with all my heart I could be Heidi and live on that mountain with Grandfather and Peter. And of all the great books I read as a kid, I still remember that story well. I read Mr. Poppins Penguins out loud to my dad while he was building a sailboat and I remember enjoying the story, but for the life of me, don’t remember any of it today. Neither do I recall much of the other stories I read during that part of my growing up. As a teenager, I read a trilogy by Elizabeth Ogilvie set before, during and after WWII on an island off the Maine coast: High Tide at Noon, Storm Tide and Ebbing Tide. And I loved those books and her hero Nils Sorenson as much as I’d loved Heidi. 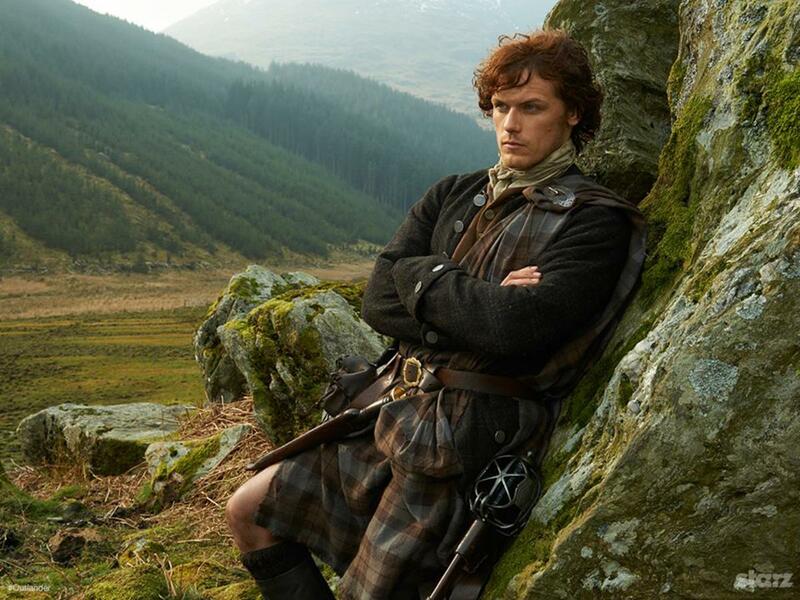 Long before Starz and Sam Heughan, I read Diana Gabaldon’s Outlander and fell in love again. Even though I read all of these books a long time ago, there isn’t much I don’t remember about them today. So, what made these particular books memorable for me? I’ve read literally thousands of books, many of them great stories that I enjoyed tremendously while I was reading them and for at least some while after I closed the cover on the last page. I’ve read many books that were enjoyable to read, but that left little impression that lasted. 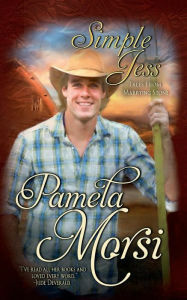 From some of these books a character stands out here or there, like Jessie Best from Pamela Morsi’s Simple Jess. Or the young man who graduated from West Point just in time to get sent to Europe at the end of WWII in W.E.B.Griffin’s series Brotherhood of War. That soldier was not one of the main characters but he was unique and appeared throughout the series and he was my favorite character. A warrior who knew how to get the job done, but didn’t play the political game and had a flamboyant reputation. But those characters and stories don’t stay fresh in my memory like Heidi and Peter, Nils and Joanna Sorenson or Jamie Fraser. I love Lee Child's Jack Reacher and Vince Flynn's Mitch Rapp, but the plots all fade quickly. Same for so many others that fill my Kindle today. Why? I think, it was a combination of compelling stories and characters I could relate to and fall in love with in settings that captured my imagination. I loved Jessie Best and he’s still one of my favorite characters, and the story compelling, but the setting, for me, wasn’t a place I ever wanted to be or see. 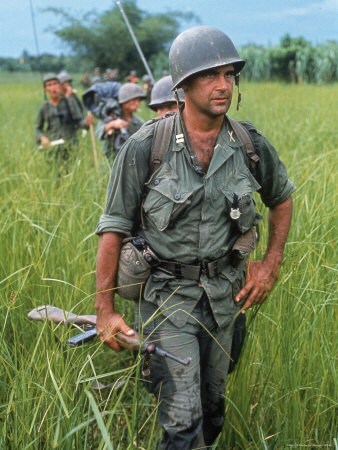 That soldier in Griffin’s books was a complicated man I loved in the stories, but who knows, I might have disliked if I’d ever met him in person. I’d never been to Switzerland, but Spyri made that alp come alive. She created a girl I could relate to so much I wanted to be her and even in my childish heart, there was a bit of love for Peter. Ogilvie did the same with the Tide Trilogy. 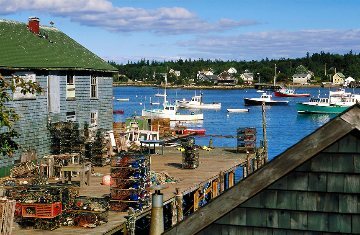 I had been to Maine, but her descriptions of this island off Maine’s coast, filled with a close-knit community was a place I wanted to go. Joanna was the main character, but my youthful heart fell in love with Nils Sorenson who loved Joanna the way I wanted to be loved when I grew up. Nils was the steady, reliable, caring man who was always there for Joanna no matter what she did, including breaking his heart at one point. Joanna was so much like me, perhaps that’s why I could relate to her so well. She was passionate and impulsive, and looking for adventure. Then came Outlander. 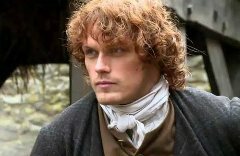 There are millions of women who’ve met and loved Jamie Fraser, first through the books and now, with the face of Sam Heughan – what’s not to love? I have lost interest in the latest of the Outlander saga because I feel like these 1000 page tomes would have been far better if they’d been only 300 pages long with less distraction from Jamie and Clair. I find myself flipping forward, skipping vast portions of the books filled with minutiae of things that just don’t interest me. But that first book and even the second, caught my imagination just as Heidi and the Tide Trilogy did, with a setting I could almost feel myself a part of, with characters who were complicated and far from perfect that I could relate to and fall in love with and a story that swept me away from my everyday life and held me captive until the last heart-healing moment. In summary, what makes a book memorable for me is one that has it all: Great writing, captivating stories, real people, settings that sing with adventure and romance to touch the heart. They are books I have and will read again … and again even though I already know how they will end. And every time I will be whisked away to a place I want to be, fall in love all over again, and sigh with satisfaction and a little sadness when I reach the end and have to say goodbye. What makes a book memorable for you? Leave a comment and share your thoughts. Then hop on over to see what makes a book memorable for this line-up of authors. 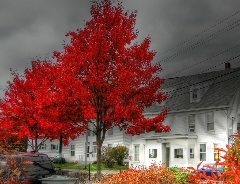 I used to live in Maine year round . . . until I spent two years in the Peace Corps! I thought I’d always be a New England gal. 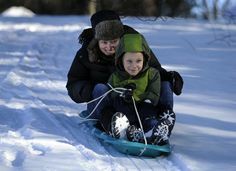 I grew up in Massachusetts and spent my winters skiing, coasting, ice skating and having snowball wars. I learned to drive in the snow and slippery roads didn’t bother me. I had plenty of warm clothes and while I’ll admit that I didn’t much enjoy delivering newspapers before the sun was up on frigid winter days, I never really thought about being cold the rest of the time. Summers, however, were never long enough. 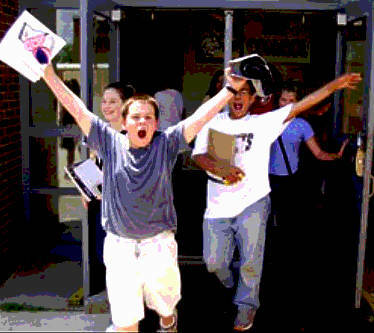 Like all kids, the last day of school was a mini-emancipation. The whole summer stretched out before me – endless days of sun-drenched freedom to do and go what ever I felt like each morning. But what felt like a never-ending season in June came to a screeching halt far too quickly the day after Labor Day. As an adult with kids of my own the seasons began to have less importance. It was all about keeping up with their school and after school schedules, but I still looked forward to summer. And while most of my peers seemed to enjoy the cool nights of fall and looked forward to the changing colors of the foliage, I still mourned the end of summer. Then, in my mid fifties, I made a bold choice. 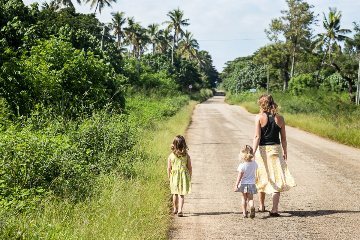 I applied to join the Peace Corps and got accepted. I leased my house, put my job on hold and ventured half the world away to experience life in a whole new way. I acquired a new Tongan family that welcomed me into their home, learned patience while coping with a very different work ethic, and adapted to the community lifestyle where things were often “borrowed” without asking because you weren’t using it, and someone else needed it. Peace Corps endowed me with a tiny dorm sized refrigerator but the family I lived with and most of their neighbors did not have refrigerators so I’d often find things that weren’t mine taking up shelf space. I lost three pair of flip flops that were “borrowed” -- one pair while I was at a wedding reception. The Tongan ladies clucked about me being barefoot but no one seemed to think it odd that someone would take my shoes while I was in the house admiring the wedding gifts. But the biggest adjustment was the climate. I left Maine in February. I’d been coasting with my grandson just days before I flew out of Portland on my way to the South Pacific where it was still summer. 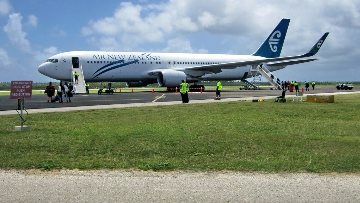 I stepped out of the Air New Zealand jet onto stairs like the president uses when deplaning from Air Force One and the heat coming up off the tarmac even at dusk hit me like a blast from an oven. The thought going through my head at the time was, “What have I gotten myself into? Two years of this?” My first night I lay spread eagle on my bed trying to find comfort in the lazily turning ceiling fan that barely stirred the air. But before I knew it, I’d gotten used to that heat. I no longer noticed my clothes were always a little damp unless I happened to go into the bank, which was the only air-conditioned building on my island. And then I couldn’t wait to get back outside and get warm again. I’d been told in training that the local women used their umbrellas to keep the sun off, not the rain. We laughed, but it was true. It was 10-15 degrees cooler under the umbrella and getting soaked in a brief downpour felt good. But mostly I enjoyed the endless days of sun and warmth. Even in the winter the temps at night never went below the mid 70s. I reveled in the sunshine warm on my head and shoulders as I walked to work and home again. And I especially loved the balmy evenings when the mother of the family I lived with and I would lay on woven mats on the veranda and talk in the soft darkness. Summer finally – FINALLY – lasted long enough. Or almost. Two and a half years later I returned home, thankfully in May so my body had at least the brief Maine summer to get used to the change before winter set in. That first winter home felt endless. Snow started in November and didn’t quit until May. For several months it was dark when I got up in the morning and dark when I drove home from work. 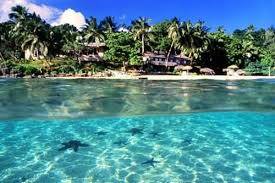 I missed the warmth and sun of Tonga more than I would ever have imagined. My second year, by March I was so depressed by the cold and dark, I flew to Florida for a week’s vacation, partly in Fort Pierce visiting a friend and partly in St Augustine. On my last morning there it was still dark as I waited for my taxi ride to the airport, but it was a soft, balmy, welcoming dark. Nothing like the hard edged dark of Maine in March. Like quarterbacking the Saturday game on Monday, I suddenly realized I had always loved summer best. Not so much for the endless carefree days of youth, but everything. The warmth, the sunshine, water warm enough to swim in, rain that felt like a blessing, breezes that brought the scent of flowers. Everything around me lush and green. Even the sudden deluges and the flash and rumble of a thunderstorm. And that’s how I came to live in St Augustine, drawn by the climate and the history and the miles of beautiful beaches. 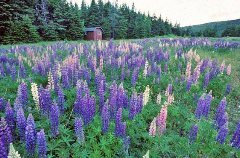 I still miss the crunch of a ripe apple in the fall and the heady scent of lilacs in the spring, but enough to endure another winter. 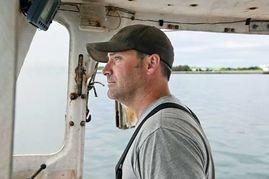 And I miss the very different ambiance of the Maine coast, the muttering growl of lobster boats as their captains haul their pots, the cries of gulls along the shore, lupine filling the fields in the late spring, and of course, a real Down East lobster – a lobster that was caught just a few hours before it hit the pot. So now I come here for a few weeks each summer. 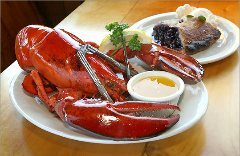 Unlike the snowbirds who live here and fly south in the winter, I live in the south and fly here for a taste of Maine each summer. Perhaps that makes me a sunbird. I don’t scramble over the rocks like I did when I was younger, but I appreciate the blessing of just being here with the tang of salt in the air and the abundant beauty that is Maine. In the Summer!